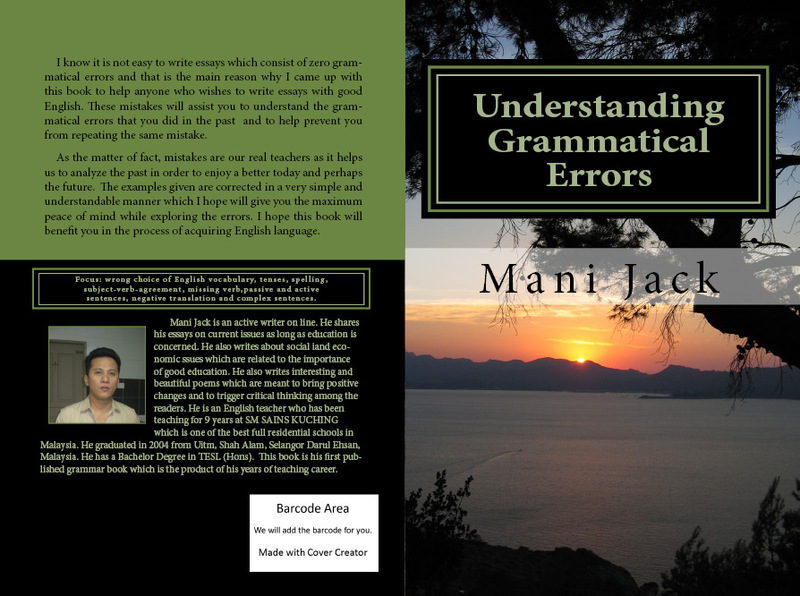 This book is dedicated to anyone particularly the non-English speakers to understand the grammatical errors that they have done in writing. This book is a collection of grammatical errors that I have collected from my teaching career. Obviously, their mistakes are our mistakes. These mistakes are our real teachers to teach us how to write good English. I hope this book will greatly assist you in the process of acquiring English language.